You don’t have to read statistics to know that getting a good night’s sleep is essential to your physical health. You can function more effectively and simply find yourself in a more positive, upbeat mood following a night when you slept well. If you are not sleeping well and waking up feeling rested and revitalized, a solution to that dilemma could be as simple as finding the best pillow for your sleeping style. 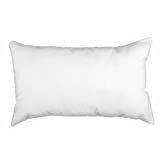 For many, the best down pillows for sleeping provide that extra amount of warmth and comfort necessary to assure a comfortable night’s sleep that result in a pleasant beginning to each day. Before you rush out to purchase a down pillow, you need to determine what are the best pillows for your body type and your sleeping style. Take time to consider what you need the pillow to do for you. You may want a pillow that conforms to your body or prefer one that offers support. Your sleeping position is a major deciding factor when choosing a down pillow. The following guidelines and descriptions are generalities that can help you choose a pillow that is best for you. Stomach sleepers generally find a soft density down pillow provides the comfort they need. Sleeping on your stomach can ease lower back pain. That particular sleep position also requires comfortable neck and head support. If you prefer the spine support that comes from sleeping on your back, a medium density down pillow may be best for you. Achieving balance and assisting in the alignment of internal organs are two of the benefits derived from sleeping on your back. If you are a snorer, sleeping on your side may provide some relief from breathing difficulties that contribute to your snoring. A firm down pillow can provide the neck and head support you need to achieve maximum comfort when sleeping on your side. When you’re searching for the best down pillows, especially if you are a side sleeper, you might want to consider adding a down body pillow to your bedding. Body pillows can relieve pressure from the spine, back and hips. They are great for pregnant women. A body pillow can be a luxury you give yourself. When you begin your search for the best down pillows available, you may encounter some terms that are unfamiliar to you. It is important that you read product descriptions carefully so that you do not mistakenly purchase feather pillows as opposed to down-filled pillows. The feathers on the underside of ducks or geese are used in down pillows. They provide warmth for the birds and will do the same for you. They are not sharp like the larger feathers. Fill power may also be a term you are not familiar with. Fill power represents the quality and the durability of a down pillow. For example a 600 fill power describes a standard down pillow, while a 800 fill power indicates a high quality pillow that will retain its firmness for a longer period of time than a pillow with a lower fill number. 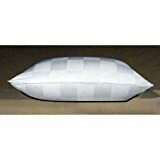 You may also see the term pillow shell when you shop for a down pillow. The shell is a covering that protects the pillow from skin oil and dust that can find its way into the pillow. Once you’ve decided to invest in a down pillow, purchasing a dual shell will offer maximum protection for your pillow. One other descriptive detail to take note of is the actual percentage of down that is in the pillow. An exquisite addition to your bedding ensemble would be a luxurious, comfortable 100% goose down pillow.